The Hollow Tree, which is an ancient Western Red Cedar, is a remarkable example of a British Columbia Provincial tree. It is located in Stanley Park, Vancouver B.C. The tree (known world wide the “Hollow Tree”) is over 700 years old. 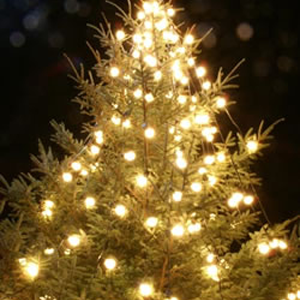 The tree is approximately 40 feet in diameter (12 meters) and at one time stood over 240 feet (72 meters) tall. With over 8 million visitors to Stanly Park each year the Hollow Tree is considered one of Vancouver’s oldest landmarks and has long been a regular stop for tourists. Since the Parks opening in 1888 the Hollow Tree has been host to generation upon generation of tourists and locals alike. Known as one of the most photographed attractions in Vancouver, people were often photographed in their automobiles or horse drawn carriages while backed inside the hollow of the tree. In 1910 the Hollow Tree was saved from road widening by a man who made his living taking pictures, for a fee, at the foot of the tree. The tree was damaged during wind storms of 2006 and was targeted for removal. However, through the donations of the community, the tree was saved from removal in January, 2009. 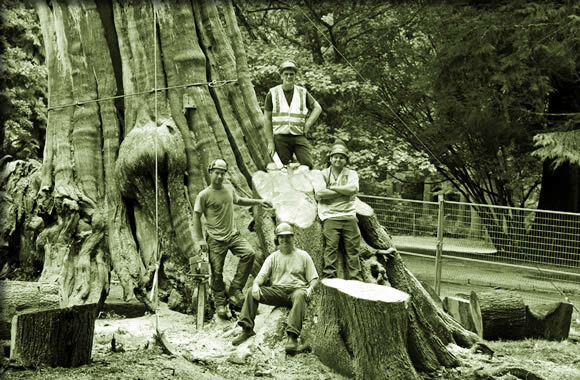 We appreciate the effort made to save the Hollow Tree and would like to offer our continued support to the project.